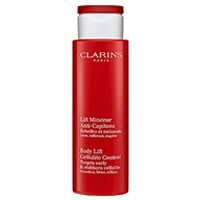 Right now, Clarins Body Lift Cellulite Control is one our top choices among all the different cellulite creams out there. It’s easy to apply, dries quickly, and smells really good. It’s also reasonably priced and has a nice combination of ingredients. But the main reason we like this cellulite cream, is it works pretty well over a longer term period. We definitely noticed smoother, better looking skin after a few weeks of using this lotion. 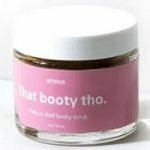 So after trying dozens and dozens of different cellulite creams, we saw some of the best results with this one! Clarins Body Lift Cellulite Control comes out of the bottle as a white lotion. It feels very slick and smooth, almost like a gel. We actually prefer cellulite creams that are a little lighter like this one, versus those thick and heavy creams. This is one of the easier cellulite products to apply. Because it’s such a light and airy lotion, it goes on really smooth and blends easily. This is one we actually like putting on versus dreading it! Clarins Body Lift Cellulite Control dries pretty quickly compared to most other cellulite creams. We keep harping on this, but he fact that’s it’s a lighter lotion means it’ll dry much more quickly than other, thicker products. Within a few minutes, it felt like it had completely dried. A lot of cellulite creams, especially with menthol in them, do not smell very good. Fortunately this lotion by Clarins isn’t one of them! It actually smells really good– almost like a good-smelling soap or perfume. After giving Clarins Body Lift Cellulite Control some time to dry and be on our skin awhile, we noticed the smell actually improved a bit. It mellows out a little and is a very pleasant, light odor. This lotion has menthol and caffeine in it so it does have a temporary “smoothing” effect on the skin. Those 2 ingredients are known for temporarily plumping up the skin, which is what this lotion does. Longer term, we did notice some improvement in the appearance of our cellulite when using Clarins Body Lift Cellulite Control. Our skin just felt much more smoother overall, and seemed to be better moisturized. Keep in mind cellulite creams can only do so much, it’s not like you rub some in and cellulite magically disappears. We like the combination and number of ingredients in this cellulite cream. Some manufacturers have no idea what they’re doing and just throw in dozens and dozens of different ingredients, hoping something works. That doesn’t seem to be the case with Clarins and their cellulite product. They’ve included the classics like caffeine, menthol and escin (horse chestnut). But also include some unique ingredients like aquatic mint and celosia cristata. At a bottle size of 6.9 oz, that works out to $10.00 per ounce. That’s not cheap, but it’s also nowhere near what most of these creams cost. Unfortunately, this product does not come with a guarantee. To buy Clarins Body Lift Cellulite Control, click here.